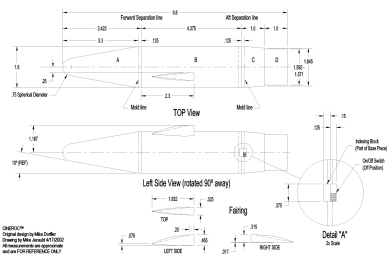 describes the components of the drawing. If you have any questions don't hesitate to call or email me. 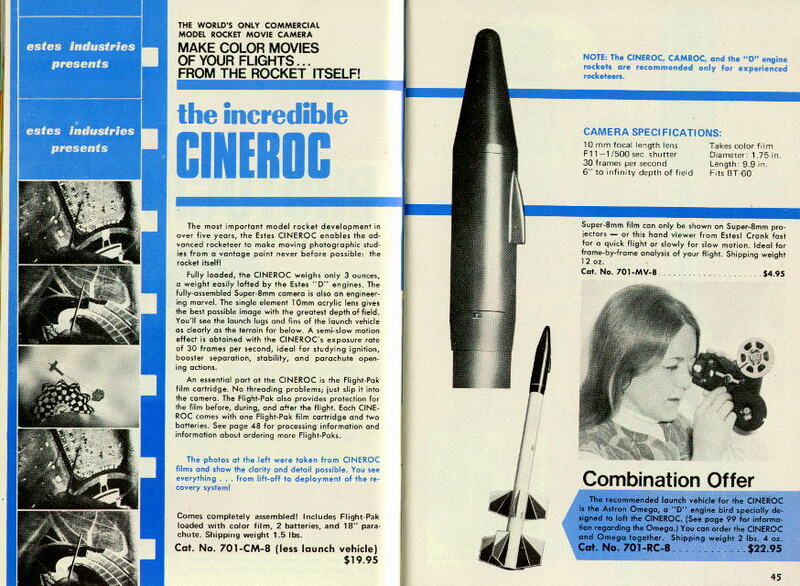 The Cineroc is organized into 5 components on 3 sections, listed as A, B, C, D, & Mirror Fairing. 1.8" DIA x 3.425"L (3-27/64") cone. The tip is a .75 sphere. Section B from the factory. to the left of that centerline. Section C is the transition from 1.8" to 1.64" tubing (BT-60). It extends .125 into Section B and is taped at the aft separation line for flight. The Indexing Block is molded into Section C (see detail A). The On/Off switch is located adjacent to the Indexing Block. Left is Off. screw eye in the base of Section D (omitted for clarity). 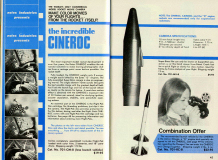 The fairing is shown with approximate dimensions made from an attached unit. It appears to have been vacuum molded. The wall thickness is .035 - .037 on all sides. 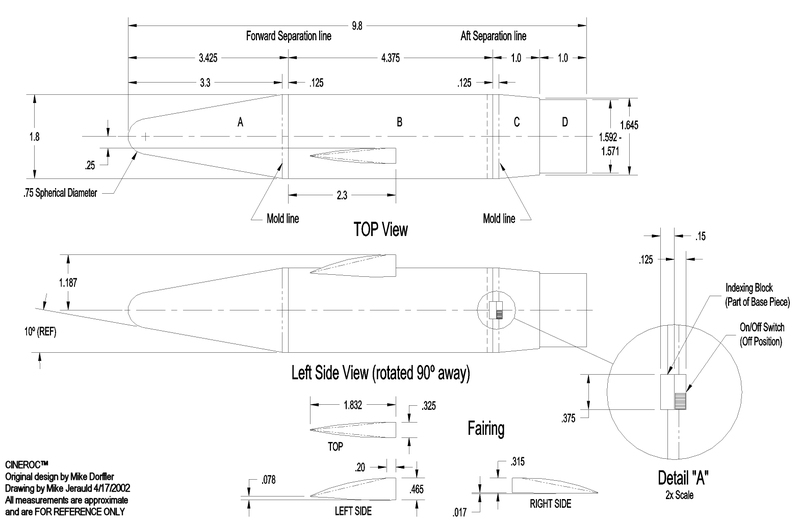 The dimensions below the left and right views show the approximate upward sweep of the lower edges.